PLEASE NOTE: We ship to the UK, Ireland and European countries. We will post to World Zone 1 - please email for shipping prices. UK orders are sent by Royal Mail 1st or 2nd Class Post. Heavier items will be sent by courier which will need to be signed for. Whilst the majority of 1st Class parcels are received the following day from posting, this is not a guaranteed service. Standard postage please allow 5 working days. 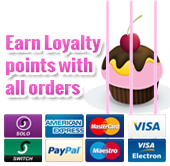 Orders may be sent by Recorded Delivery and will require a signature on delivery OR Special Delivery for a tacking, signed for next day delivery service. The dispatch of your order will be confirmed by e-mail and you can check the status of your order at anytime by logging into your account. We do not dispatch on Saturdays, Sundays or Bank Holidays. POSTING YOUR ORDER – We aim to dispatch your orders within 1 to 2 days of receiving your order but it may occasionally take longer at busy times. We will contact you if there are any issues regarding possible delays. These timescales are taken from point of posting, . . .
2nd class post - "we (Royal Mail) try to deliver most 2nd class post within 3-5 working days after posting". 1st class - "we (Royal Mail) try to deliver most 1st class mail within 1-3 working days after posting". Recorded Delivery does not make delivery any faster. Air Mail takes around 3-7 working days for most European destinations (allow longer for Italy) and 7-10 working days for the rest of the world. Additional delays due to Customs at point of entry into your country and delays by your own national/ domestic postal service do not form part of this timescale. Standard Air Mail does not offer any tracking facility. For a tracking service please choose EU standard Tracking which adds an extra £5.95 on to EU standard prices. Please order your items with enough time to ensure that your order arrives in time, as we are not responsible for loss or failure to meet specific delivery times. All orders are packaged as safely as possible to ensure that items are not damaged in transit. Should we for any reason be unable to complete your order we will contact you to make alternative arrangements. 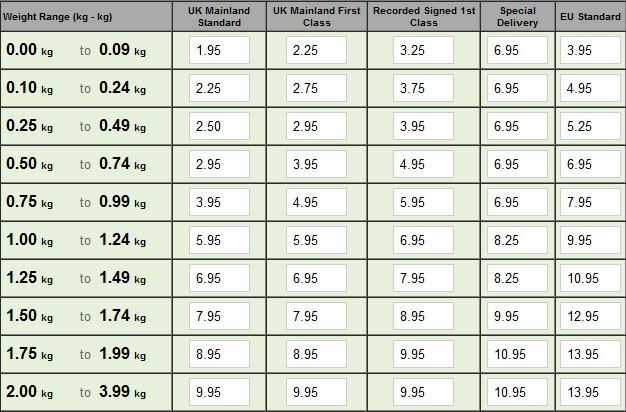 Delivery charges are determined by weight: See below as a guide to current prices. Should you not be completely satisfied with your purchase, kindly return it to us within 7 days, undamaged / unopened and we will refund you in full. However, please be aware that we cannot refund edible items due to food safety & hygiene regulations If your goods are damaged in transit, please advise us within 24 hours upon receipt. In order to return goods, please email info@nice-buns.co.uk with details of your name, contact phone number, order number, date of order, items to be returned and reason for returning. We will then arrange for a refund or replacements to be sent out as required. Please note that all returns should be received within 28 days of your original order date in order for any refunds to be processed. All returns should be received in brand new condition with no damage to the packaging or to the goods.